The leaves are falling ever so gently to the dying grass below. The pumpkins are starting to melt and smell funny, The heaters are starting to kick on earlier in the morning. I love Fall! I love warming foods. Simmering foods. But there are some dishes that seem like you slaved over them for hours, when actually they were Weeknight simple. 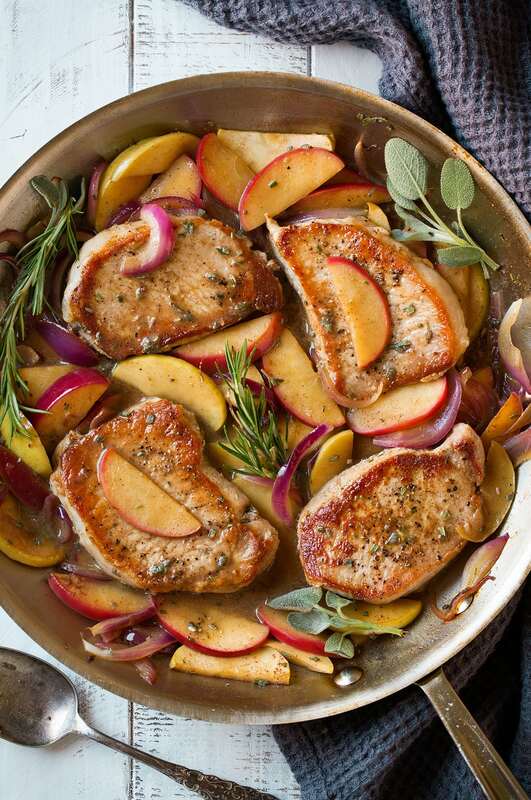 Last night I made Pork Chops smothered in Apples and onions, Cinnamon and rosemary give depth to the dish and the pork just loves the combination of all! Brown the chops in hot canola oil, about 3-4 minutes per side, Get a nice brown sear. Remove from pan and cover. To the hot pan add apples and onions, cinnamon and rosemary. Allow to cook down over medium heat. Add beer or stock, and reduce by half. About 12-15 minutes Add pork back to pan and continue to simmer an additional 5 minutes Season with salt and pepper. Enjoy.